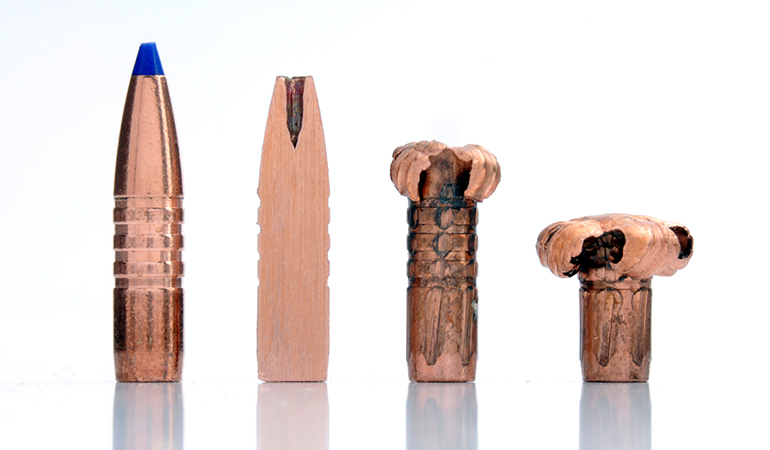 As hunters, we argue about cartridges more than just about anything, when we really ought to be debating bullets. After all, a cartridge is just a launching engine; the projectile itself is the solitary connecting element between us and our target. We demand that said bullet be accurate, that it slip between air molecules with the greatest of friction-free ease, and that on impact it provides clean-killing terminal performance. All this after being accelerated from a static position instantly to around 2,000 mph, simultaneously spun up from a standstill to around 3,000 rpm, and blown out the end of a gun barrel shuddering with vibration as it contains some 60,000 psi worth of controlled explosion. It’s a lot to ask. Thankfully, a double handful of superb hunting bullets perform yeoman’s duty in the field, predictably doing their job year in and year out. And they’re only getting better, as modern manufacturing methods and design parameters continually improve. A great deer bullet must expand dramatically. Penetration is important but secondary. Deer don’t have the massive bones and dense muscle of elk, nor the sheer body size. Big holes leak life fast. Some hunters prefer a bullet that stays inside, therefore dumping every available ounce of energy into the deer for maximum shock. Others like a bullet that penetrates fully, unloading almost all energy and then just barely exiting, because exit holes bleed exponentially more than entrance wounds. 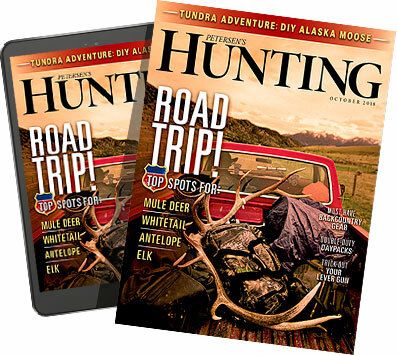 Finally, a few savvy hunters like bullets that penetrate fully and exit with lots of remaining energy, because they tend to blow big exits that provide maximum blood-trail drainage. Whatever your philosophy, there’s a capable deer bullet that fits your needs. Without further ado, in no particular order, here’s a look at a handful of the finest available today. Featuring ultra-modern design, this high-ballistic coefficient (BC) bullet shrugs off air friction, thereby maintaining maximum expansion-inducing and energy-packing velocity as far as you care to shoot. It tends to be superbly accurate out of a broad spectrum of rifles and cartridges. Expansion on impact is invariable massive, wreaking havoc on vitals. To achieve best-possible BCs these bullets tend to be heavy for caliber, which provides plenty of mass and momentum for raking shot presentations. There are those that believe the ELD-X is the single most versatile deer bullet on the market. And it’s available in multiple versions for just about every logical deer caliber in America. Hornady and Black Hills load factory ammo. “If your deer rifle won’t shoot a Ballistic Tip accurately,” stated one savant, “you may as well sell it ’cause it probably won’t shoot anything well.” Although it was the first of all the modern polymer-tipped, boat-tailed hunting bullets, it’s still one of the very best. This bullet is known for easy accuracy and for prodigious wound channels. Drive a light-for-caliber version fast for maximum hydrostatic shock or a heavy-for-caliber version for a large, full-penetration wound channel. It’s available in excellent factory ammo by Nosler, and Winchester loads the Combined Technologies version. Without doubt the single most accurate bullet included here, the Elite Hunter has its roots in the match bullet world. A hybrid secant/tangent ogive maximizes BC while still allowing the bullet to take the rifling leade with accuracy-enhancing consistency. A thin copper jacket houses a soft lead core. 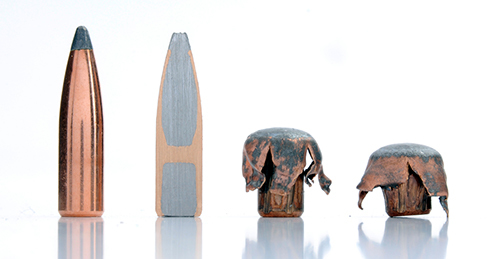 On impact, the nose collapses rearward, building pressure until the sides of the bullet blow violently out, producing a colossal wound cavity. This bullet is known for shock rather than penetration. Long-range hunters and handloaders love it for its superb precision. 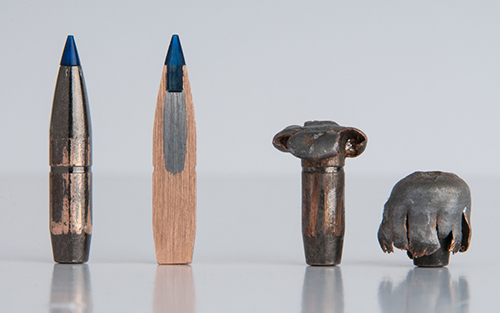 Picking the heaviest version appropriate for your cartridge loads the odds toward both massive trauma and adequate penetration. It’s factory-loaded in Federal’s brand new Hybrid Hunter line. This is a penetrator. If you anticipate needing to drop a 300-pound mule deer skulking away through the sage with a steeply raking shot, here’s your poison. Because the rear half of the Edge TLR is solid copper, and the lead front core is bonded into the front cavity, this bullet will never fail to both mushroom epically and penetrate like a depth charge. Plus, it’s got an outstanding BC maximized for long-range work with a carefully finessed boat tail, composite tip, and racy profile. If you want a bullet that will almost always give full penetration and can cross over to elk, this is one of the best. It’s available in Federal’s outstanding Edge TLR long-range hunting ammo. Although this is the godfather of controlled-expansion bullets, don’t discount its ability to hit hard. Its soft lead front core expands explosively on impact, so the bullet hits like the proverbial freight train. Then the “H”-shaped jacket arrests expansion, creating a mammoth mushroom that drives deep, shedding particles off the nose that spiral off and contribute to titanic amounts of trauma. Finally eroded back to the H-jacket, the bullet loses a bit of expanded diameter about the time it’s passed through the thoracic cavity, but continues to drive on through and usually exits. Disciples will tell you the Partition set the bar for bullets that both hit hard and drive deep, and few others can challenge it. 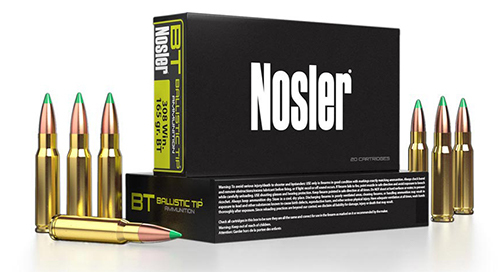 It’s available in Nosler factory ammunition as well as Federal Premium and Weatherby ammo. 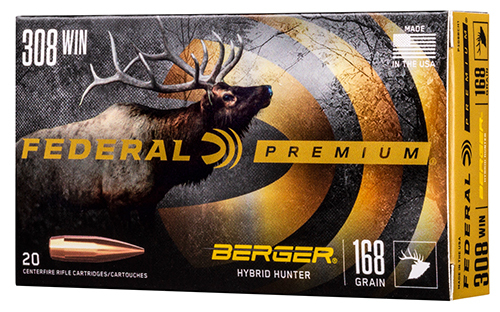 Known for accuracy and deep penetration, this is a really great bullet for those that want to cross over to bigger species such as black bear and elk, and for taking angled shot presentations. Made of pure copper, it opens to an X-shaped mushroom on impact, and unless it encounters heavy bone usually does not lose a shred of weight. As a result, it penetrates like no other. Pick a light-ish version for your caliber to ensure high impact velocity out to typical deer ranges, and it will still usually drive completely through and exit. Wound cavities are substantial but not shocking; this is a great bullet for hunters particularly concerned about meat destruction. As a side benefit, it’s non-toxic and legal in lead-restricted areas. Barnes, Federal and Black Hills all offer factory ammo. It’s not aerodynamic, and it doesn’t sport a composite tip and boat tail, but Remington’s classic Core-Lokt is one of the best deer bullets to ever come down the pike. Out to the moderate ranges whitetail deer are typically shot at, it’s all you’ll ever need. A soft, exposed-at-the-nose core initiates generous expansion, which typically rolls back a into picture-perfect mushroom shape before being arrested and controlled by the thickening taper of the jacket and the “Core-Lokt” section. It’s best in traditional, non-magnum cartridges, because excess velocity and bone can sometimes tear it to shreds. 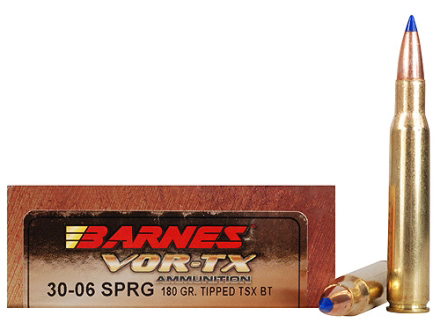 Combining a great balance of large wound cavity with adequate penetration, this is easily the least expensive bullet listed here—and offers tremendous performance for the dollar. Remington loads it, and Walmart carries it at eye-bugging affordable prices.